Many people, especially those who appreciate excellency in the field of oenology, consider France to be a world leader in one palette whetting discipline: its wine. It vies for the title of biggest producer each year with Italy, and there is rarely much between them. In 2010 for example, Italy produced 4,580,000 tonnes with France slightly behind on 4,542,000, but in terms of quality France is the clear winner. The entire country is temperate, with slight variations in climate and landscape that allows France to produce high quality wines of every variety and type, and with expertise that goes back centuries they are very well equipped to take advantage of nature’s bounty. 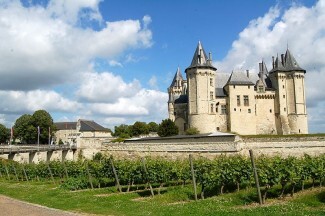 The French influence can be seen in the wines of almost every other country, with the only real exception being Germany. Its Bordeaux red begot the world’s Cabernet Sauvignons, whilst the global love affair with Chardonnay stems from white Burgundy. Champagne’s magnificent product sets the standard for every bottle of fizz out there, from Latvia to New Zealand and even to the new kid on the bubbly block, England. 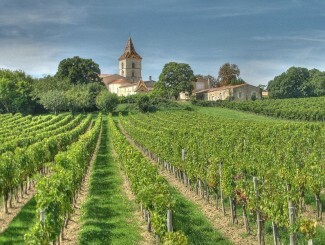 France seeks to protect its products by a strict control method called Appellation d’Origine Contrôlée (AOC) – roughly translated as “controlled designation of origin” – that regulates the grape varieties used, how they should be pruned, when the grapes should be harvested and many other factors. This is intended to ensure the authenticity and quality of the wines and the appellation relates to a particular area. Whilst we would love to consider every single one of the more than 300 appellations, including indulging in a good deal of practical research, that is, sadly, somewhat beyond the scope of this article. Even to cover all of the regions, within which there are numerous individual AOCs (57 in the case of Bordeaux) would be a bottle or three too far. So, lest we start slurring our words and smudging our ink, what we offer here is a brief introduction to some of the finest wine growing regions in the finest wine nation in the world, with one or two interesting facts and stats thrown in for good measure. Bordeaux – that we in the UK, deem as a ‘claret’ – is the most prestigious of France’s wine regions, producing some of the world’s finest wines in unusual abundance for vintages of such high quality. The long-lived reds are made predominantly from Cabernet Franc, Cabernet Sauvignon and Merlot grapes, whilst the whites generally utilise Semillon and Sauvignon. Some of the world’s most famous, iconic wines are produced here, such as those from the Chateaux Latour, Lafite and Mouton-Rothschild, names sure to feature on the wine list of any top quality restaurant. 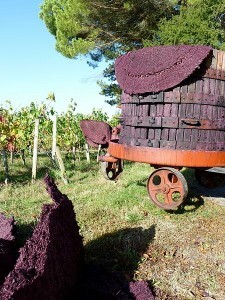 As well as producing the finest wines, Bordeaux, on the Atlantic Ocean, also makes the most wine. How does an annual production of 720 million bottles of wine grab you? That’s 6,480,000,000 units, by the way, but don’t tell your doctor! Burgundy is primarily worked by smallholders with many of the vineyards passed down through generation after generation of the same family. The reds are predominantly Pinot Noir, whilst the whites use Chardonnay, the latter to make Chablis. Wine has been produced in this region since at least the second century AD and possibly significantly earlier, so production methods, familiarity with the land and climate have been refined to the point of near perfection over the years. Burgundy was praised by William Shakespeare in King Lear, with reference to the vines of France and milk (wine) of Burgundy and the first positive write-up of its produce was first recorded way back in 591, with Saint Gregory of Tours comparing it to the finest Roman wines. I think he mentioned something about a snazzy bouquet too, but I can’t be sure. Simply one of the world’s most famous products, Champagne comes from the eponymous region in the North of the country, east of Paris. Champagne is synonymous with wealth, celebration and extravagance and towns like Epernay and Rheims are responsible for its production. It is made with Pinot Noir, Chardonnay and Pinot Meunier, the first of which is a red burgundy grape, the last of which is the least well-known but most commonly planted and also red. Champagne is unique among fine wines in relying on a blending of the three grapes, although Blanc de Blancs uses only Chardonnay, whilst the less-common Blanc de Noirs, meaning “white from black” uses one or both of the others. A word of warning, a Champagne cork can fly out of a bottle at 60 miles per hour. Of course, you could always avoid any potential cork-induced injuries by using a different technique for opening that bottle of champers you’ve been saving for a special occasion: sabrage. It involves effectively slicing the top off the bottle with a sword (or sabre) and was a popular technique with Napoleon’s light cavalry. It would certainly catch the attention at a party! The Loire valley is home to over 300 chateaux and whilst the minerality and freshness of wines like Sancerre and Pouilly-Fume is well known, beyond that the region is a little overlooked outside France. Both use only Sauvignon Blanc, although Cabernet Franc, Gamay and South Africa’s favourite, Chenin Blanc, are also much-grown. The region produces crisp, varied wines that, whilst not quite of the quality of Bordeaux’s finest, can be superb value. If you’ve had enough wine you can always check out the place where Leonardo Da Vinci spent his final years or visit the largest Japanese gardens in Europe, but the main draw of the region is the vast array of chateaux of various styles and levels of grandiosity. Of course, visiting such extravagant abodes can be very thirsty work, and luckily there are wine caves, vineyards and cellars where you can stock up on your tipple of choice. So, that’s a brief introduction to just four of France’s 10 principle wine regions. Why not get out there and discover the rest for yourself. Oh, and if you are finding understanding the complexities of French wine difficult, you’re not alone – 72% of the French population admitted to finding it difficult to understand the labelling on their domestic wine, and that’s before they’ve even started drinking!